Had a weird sleep schedule this weekend and couldn’t help myself but get up at the crack of dawn today to pick up some tumbling material at a local beach. Vancouver Island beach stones, mostly tumbler-sized. A lot of these rocks are Dallasite but there are other jaspers and pretty stones in there as well. 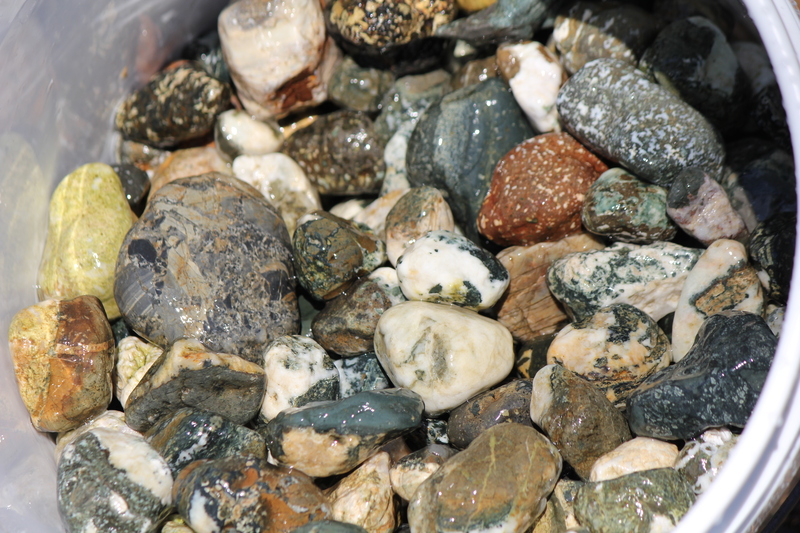 Closeup of the stones I picked up today. 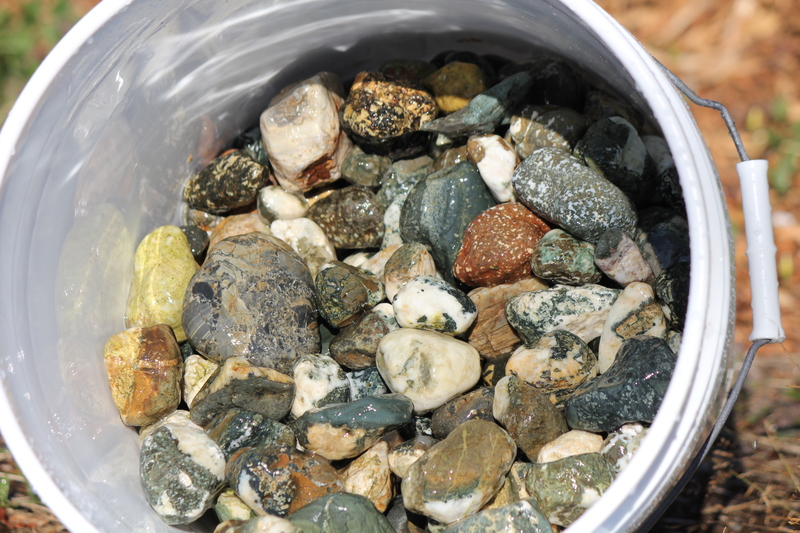 Bunch of Dallasite, some porphyries, conglomerates, breccias, other colourful quartzy rocks. 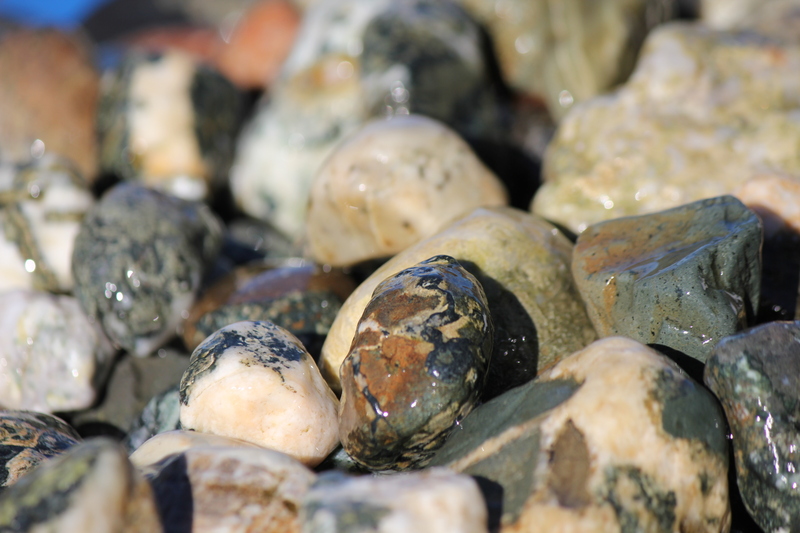 Vancouver Island beaches are a rockhounder’s dream. Nice tumbler piece of Dallasite. The black and white design will pop more and more as it gets polished. 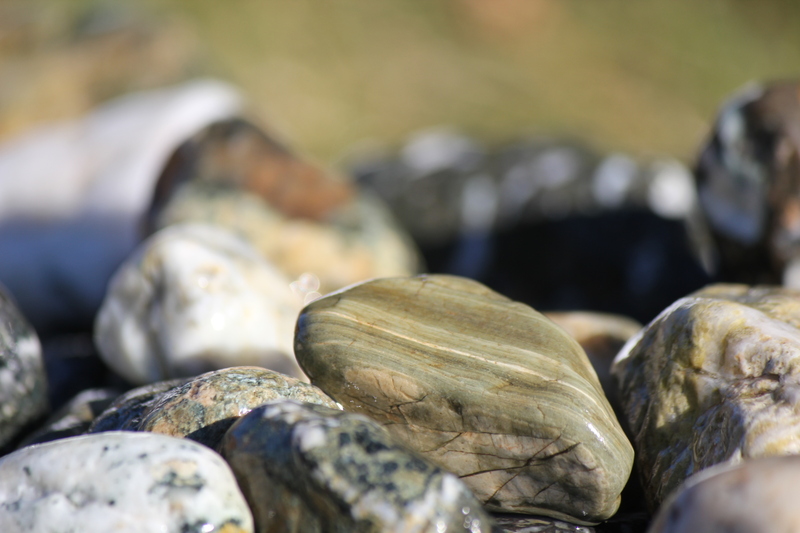 I found all of these stones within about a 50-foot span of beach, and the beaches here tend to stretch on forever. Beautiful rocks are abundant here. It’s amazing to me how few people realize what nice rocks are under their feet here. 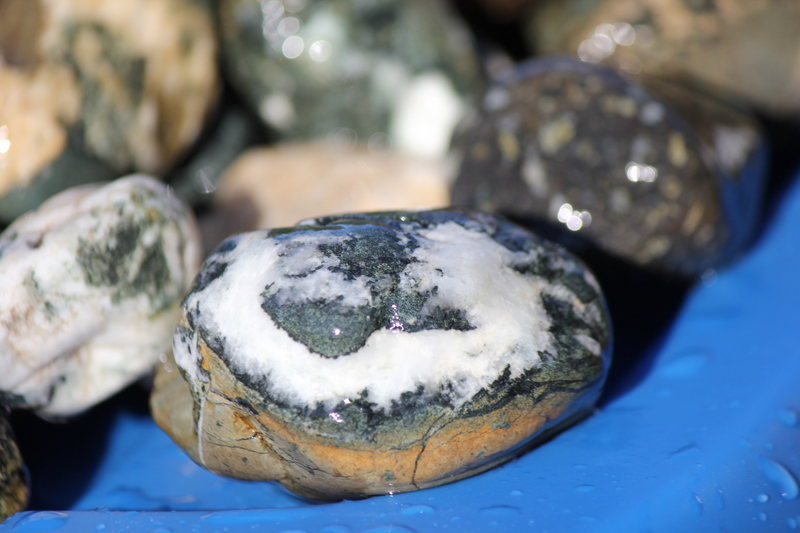 A banded green rock I find on Vancouver Island and in the mainland. Until next time. It’s a heat wave here in British Columbia. I’ll be on the beach.